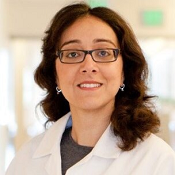 As part of the combined surgical pathology/subspecialty fellowship program, The Department of Pathology and Laboratory Medicine at UCLA Center for the Health Sciences offers subspecialty training in clinical and experimental Cardiovascular and Pulmonary Pathology. UCLA is a leading center of clinical practice and research in cardiac and pulmonary transplantation, congenital heart disease, and atherosclerotic cardiovascular disease, and is a center of excellence in lung cancer and interstitial lung diseases. The fellow will participate in the diagnostic pathology related to these programs, and other scholarly activities including teaching and research. The fellow will have the option of participating in one or both (cardiovascular/pulmonary) subspecialty services during the training period.